The latest addition to our recommended medical marijuana seeds collection, CB Diesel, produces the highest levels of CBD at over 20%, while reducing THC levels to less than 1%. Perfect for medical users, this Sativa dominant strain combines both Harlequin and Turbo Diesel to create the classic Diesel flavor and provide potent medicinal value without the ‘conscious-altering’ effects. Medical marijuana seeds all contain much lower amounts of THC, compared to traditional strains, with enhanced CBD levels to provide the maximum therapeutic value. Although further research is needed, this has proved useful in the treatment of stress, anxiety, PTSD, ADHD and ADD. Although extremely low in THC, users report CB Diesel induces a relaxed, uplifting effect with a slight feeling of energized euphoria. Perfect for both everyday and social use. Great for making both edibles and concentrates. CB Diesel can be grown both indoors or outside, although the best results are when cultivated within a purpose built growing area. All seeds are completely feminized, devoid of all male chromosomes, and will produce only pure female plants. An easy strain to grow, for both inexperienced and commercial growers alike, its’ Sativa dominant genetics require a full 9 – 10 weeks to fully flower and mature, depending upon conditions. Yields are average, producing approximately 350 grams per square meter indoors, and up to 450 grams when cultivated outdoors. One of the very best medical marijuana strains available, you can buy CB Diesel through our links with Crop King, one of the best and most trusted suppliers for cannabis seeds in Canada. Available in a selection of pack sizes, choose between 5, 10 or 25 seeds per pack, with larger pack sizes offering huge savings. 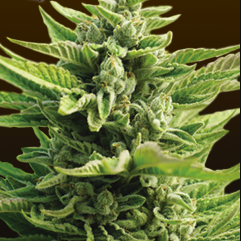 Click below and find out more about CB Diesel Medical Seeds. 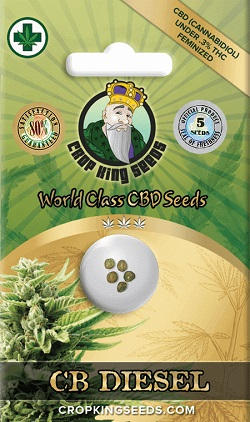 Buy CB Diesel Medical Seeds today and receive fast discreet shipping to Canada and all USA states.